I'm not a big fan of green polish. Normally I end up with bottles of green as part of a whole collection. But I saw a swatch of China Glaze Starboard on Addicted to Polish and I instantly wanted to revisit my green polish aversion. I actually own Starboard, along with a number of similar polishes (which is kind of embarressing) so I decided to try a few of them out. First up is the polish that started it all: China Glaze Starboard. It's a cool green creme from the 2011 Anchors Away Collection. I actually really like it. Of course, it's not office worthy (none of these are) but maybe for something fun in the summer. It's almost kind of preppy. 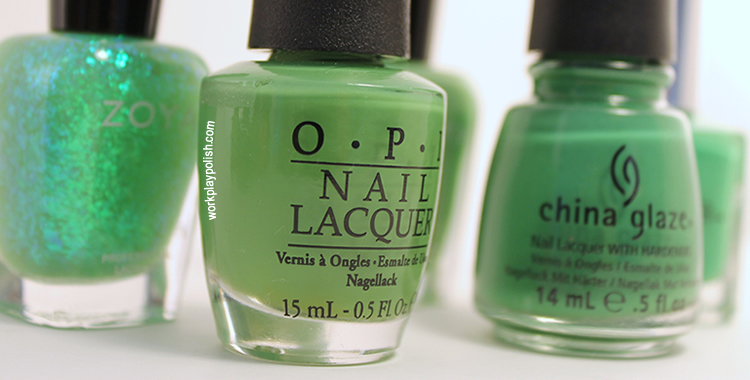 Next is OPI Green-wich Village. This is also a creme. I loved the formula on this one but I immediately thought of neon swamp moss. I expected it to be more fun and lime-like. It looks better in the pic than in person. Not a good look on me. 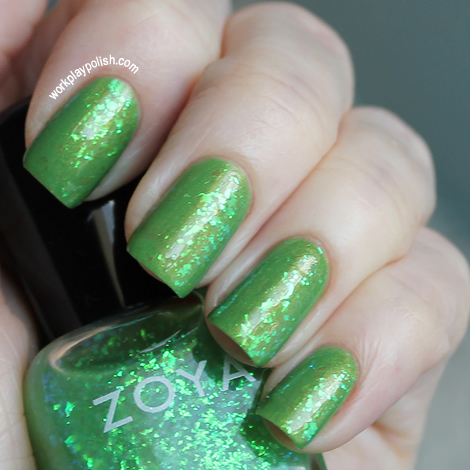 I tried Zoya Midori on it's own and then layered it with Zoya Opal. Midori has a yellow metallic tone to it with a gold shimmer. 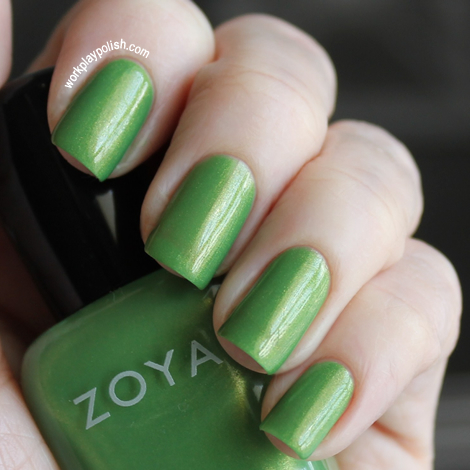 Zoya describes it as "apple" green. This one I might wear. I prefer cremes, but in this case the shimmer makes it interesting. It distracts me from the fact that it's green! Zoya Opal is a holographic fleck topcoat. I don't know about this. I think I'm too old for it (but that's never stopped me). The flakes are reflective blue and green. I'd like to see this on a blue base. Finally, I have Pure Ice Free Spirit. It's a bright green with the very slightest shimmer. It would be fun for some beachy vacation nails. Pure Ice always surprises me. For very little money, it goes on smooth and they have a ton of colors. I don't see myself integrating green into my rotation anytime soon. But it was fun to try some untrieds!